For other uses, see U-233 (disambiguation). Uranium-233 is a fissile isotope of uranium that is bred from thorium-232 as part of the thorium fuel cycle. Uranium-233 was investigated for use in nuclear weapons and as a reactor fuel. It has been used successfully in experimental nuclear reactors and has been proposed for much wider use as a nuclear fuel. It has a half-life of 160,000 years. Uranium-233 is produced by the neutron irradiation of thorium-232. When thorium-232 absorbs a neutron, it becomes thorium-233, which has a half-life of only 22 minutes. Thorium-233 decays into protactinium-233 through beta decay. Protactinium-233 has a half-life of 27 days and beta decays into uranium-233; some proposed molten salt reactor designs attempt to physically isolate the protactinium from further neutron capture before beta decay can occur. 233U usually fissions on neutron absorption but sometimes retains the neutron, becoming uranium-234. The capture-to-fission ratio is smaller than the other two major fissile fuels uranium-235 and plutonium-239. In 1946 the public first became informed of U-233 bred from thorium as "a third available source of nuclear energy and atom bombs" (in addition to U-235 and Pu-239), following a United Nations report and a speech by Glenn T. Seaborg. The United States produced, over the course of the Cold War, approximately 2 metric tons of uranium-233, in varying levels of chemical and isotopic purity. These were produced at the Hanford Site and Savannah River Site in reactors that were designed for the production of plutonium-239. Historical production costs, estimated from the costs of plutonium production, were 2–4 million USD/kg. 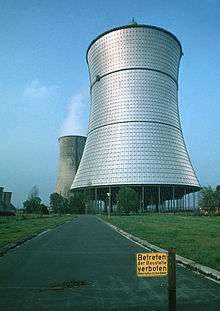 There are few reactors remaining in the world with significant capabilities to produce more uranium-233. Uranium-233 has been used as a fuel in several different reactor types, and is proposed as a fuel for several new designs (see Thorium fuel cycle), all of which breed it from thorium. Uranium-233 can be bred in either fast reactors or thermal reactors, unlike the uranium-238-based fuel cycles which require the superior neutron economy of a fast reactor in order to breed plutonium, that is, to produce more fissile material than is consumed. The long-term strategy of the nuclear power program of India, which has substantial thorium reserves, is to move to a nuclear program breeding uranium-233 from thorium feedstock. The fission of one atom of U-233 generates 197.9 MeV = 3.171 × 10−11 J, i.e. 19.09 TJ/mol = 81.95 TJ/kg. 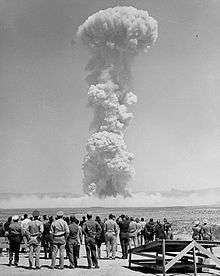 The first detonation of a nuclear bomb that included U-233, on 15 April 1955. As a potential weapon material pure uranium-233 is more similar to plutonium-239 than uranium-235 in terms of source (bred vs natural), half-life and critical mass, though its critical mass is still about 50% larger than for plutonium-239. The main difference is the co-presence of uranium-232 which can make uranium-233 very dangerous to work on and quite easy to detect. The United States detonated an experimental device in the 1955 Operation Teapot "MET" test which used a plutonium/U-233 composite pit; its design was based on the plutonium/U-235 pit from the TX-7E, a prototype Mark 7 nuclear bomb design used in the 1951 Operation Buster-Jangle "Easy" test. Although not an outright fizzle, MET's actual yield of 22 kilotons was sufficiently below the predicted 33 that the information gathered was of limited value. The Soviet Union detonated its first hydrogen bomb the same year, the RDS-37, which contained a fissile core of U-235 and U-233. In 1998, as part of its Pokhran-II tests, India detonated an experimental U-233 device of low-yield (0.2 kt) called Shakti V.
The B Reactor and others at the Hanford Site optimized for the production of weapons-grade material have been used to manufacture U-233. This makes manual handling in a glove box with only light shielding (as commonly done with plutonium) too hazardous, (except possibly in a short period immediately following chemical separation of the uranium from its decay products) and instead requiring complex remote manipulation for fuel fabrication. The hazards are significant even at 5 parts per million. Implosion nuclear weapons require U-232 levels below 50 ppm (above which the U-233 is considered "low grade"; cf. "Standard weapon grade plutonium requires a Pu-240 content of no more than 6.5%." which is 65000 ppm, and the analogous Pu-238 was produced in levels of 0.5% (5000 ppm) or less). Gun-type fission weapons additionally need low levels (1 ppm range) of light impurities, to keep the neutron generation low. 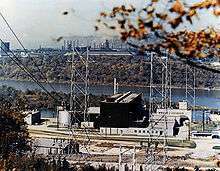 The Molten-Salt Reactor Experiment (MSRE) used U-233, bred in light water reactors such as Indian Point Energy Center, that was about 220 ppm U-232. Thorium, from which U-233 is bred, is roughly three to four times more abundant in the earth's crust than uranium. The decay chain of 233U itself is in the neptunium series. 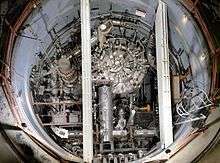 Uses for uranium-233 include the production of medical isotopes actinium-225 and bismuth-213, low-mass nuclear reactors for space travel applications, use as an isotopic tracer, nuclear weapons research, and reactor fuel research including the thorium fuel cycle. The radioisotope bismuth-213 is a decay product of uranium-233; it has promise for the treatment of certain types of cancer, including acute myeloid leukemia and cancers of the pancreas, kidneys and other organs. 1 2 3 C. W. Forsburg and L. C. Lewis (1999-09-24). "Uses For Uranium-233: What Should Be Kept for Future Needs?" (PDF). ORNL-6952. Oak Ridge National Laboratory. ↑ UP (29 September 1946). "Atomic Energy 'Secret' Put into Language That Public Can Understand". Pittsburgh Press. Retrieved 18 October 2011. ↑ UP (21 October 1946). "Third Nuclear Source Bared". The Tuscaloosa News. Retrieved 18 October 2011. ↑ Orth, D.A. (1978-06-01). "Savannah River Plant Thorium Processing Experience". 43. Nuclear Technology: 63. 1 2 Langford, R. Everett (2004). Introduction to Weapons of Mass Destruction: Radiological, Chemical, and Biological. Hoboken, New Jersey: John Wiley & Sons. p. 85. ISBN 0471465607. Retrieved 10 October 2012. "The US tested a few uranium-233 bombs, but the presence of uranium-232 in the uranium-233 was a problem; the uranium-232 is a copious alpha emitter and tended to 'poison' the uranium-233 bomb by knocking stray neutrons from impurities in the bomb material, leading to possible pre-detonation. Separation of the uranium-232 from the uranium-233 proved to be very difficult and not practical. The uranium-233 bomb was never deployed since plutonium-239 was becoming plentiful." ↑ Agrawal, Jai Prakash (2010). High Energy Materials: Propellants, Explosives and Pyrotechnics. Wiley-VCH. pp. 56–57. ISBN 978-3-527-32610-5. Retrieved 19 March 2012. states briefly that U233 is "thought to be a component of India's weapon program because of the availability of Thorium in abundance in India", and could be elsewhere as well. ↑ "Operation Teapot". Nuclear Weapon Archive. 15 October 1997. Retrieved 2008-12-09. ↑ "Operation Buster-Jangle". Nuclear Weapon Archive. 15 October 1997. Retrieved 2012-03-18. ↑ Stephen F. Ashley. "Thorium and its role in the nuclear fuel cycle". Retrieved 16 April 2014. PDF page 8, citing: D. Holloway, “Soviet Thermonuclear Development”, International Security 4:3 (1979–80) 192–197. ↑ Rajat Pandit (28 Aug 2009). "Forces gung-ho on N-arsenal". The Times Of India. Retrieved 20 July 2012. ↑ "India's Nuclear Weapons Program - Operation Shakti: 1998". nuclearweaponarchive.org. 30 March 2001. Retrieved 21 July 2012. ↑ "Abundance in Earth's Crust: periodicity". WebElements.com. Retrieved 2014-04-12. ↑ "It's Elemental — The Periodic Table of Elements". Jefferson Lab. Archived from the original on 29 April 2007. Retrieved 2007-04-14.